Using Data Validation In Excel!! Use "Data Validation" to protect the data enter into excel. 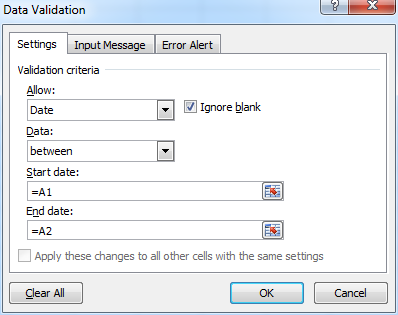 In Ribbon Choose "Data" Tab The Choose "Data Validation" Funtion. In the box choose the value or data type to set the "Validation" , example here we use date as our "validation"